Our broccoli baby grew up and became dinner tonight. It is the first thing we have harvested from our garden other than lettuce and other greens. 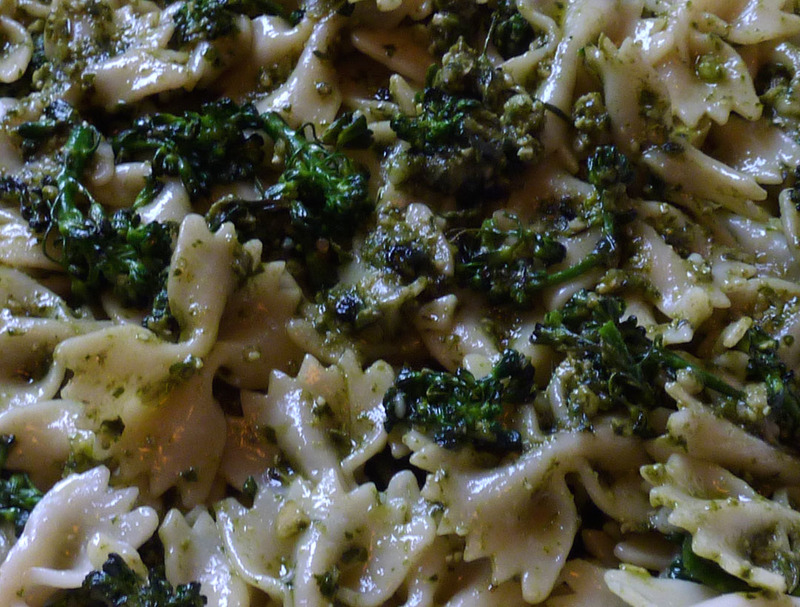 I made some fresh pesto (with basil from New Seasons—our basil is not ready yet), sautéed the broccoli and mixed everything together with farfalle pasta. The ripe (California) nectarines reached out, grabbed my nose and lured my to their display at New Seasons this afternoon. I could not resist. I made half ice cream. 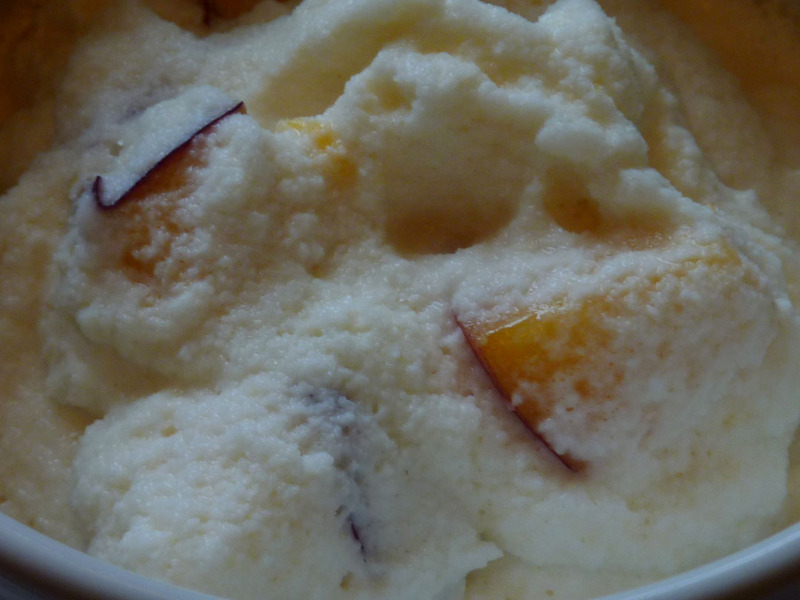 Half ice cream is the result of selecting half & half instead of whip cream. I grabbed the wrong Straus bottle (should have been the green top instead of yellow) and we got half ice cream instead. It melted more quickly, but still tasted great. The sliced nectarines added just enough flavor and hinted of summer to come. I really hope we get to feel the sun again soon. It has been grey, wet and dreary here for way too long. Just over two weeks until the Solstice. I am counting the days…. This entry was posted in Eat, Enjoy, Food, Grow, Householding, Learn, Local, Recipies, Seasonal. Bookmark the permalink. This entry was posted in Eat, Enjoy, Food, Grow, Householding, Learn, Local, Recipies, Seasonal, Uncategorized. Bookmark the permalink.